Our Rippers Kids Course is a fun relaxed environment for younger riders to safely progress their mountain biking and the core fundamentals. Understanding core fundamentals that are the foundations of progression will ensure a more rapid rise in ability. Once established these core skills can be developed and applied to more technical trail features. Children should attend our Saturday Club 2 before attending this course. 9:30am start with 3 hours of coaching, children will have access to our uplift system during the lesson and will receive a pedal pass for the remainder of their day. If you have any queries regarding this course, please contact our coach at [email protected] Full Face helmets are mandatory. - How good to attendees have to be? We welcome all riders but to get the most from the session riders should have a reasonable level of confidence in an off road environment. 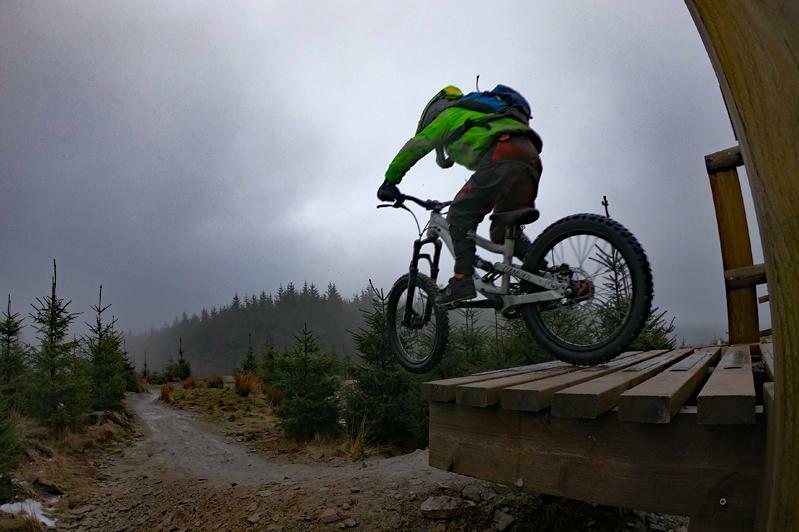 Previous trail riding experience is recommended (such as being able to confidently ride down Sixtapod and Willy Waver at BikePark Wales). - What sort of Bike do I need? Although you do not need a high-end bike it needs to be a good quality mountain bike suitable for the terrain in the park and in good working order. The bike should be equipped with off road tyres, working gears, disc brakes and bar end plugs are essential. All bikes should be equipped with a minimum of front suspension & 24inch wheels. How to ensure the bike is suitable for use at BPW can be found here or alternatively contact our coach who can advise. - Can parents watch? - Due to the nature of the trails and coaching it is not possible for parents to stay and watch but it's a good opportunity to ride the Park (subject to buying a day pass) while your young ones are being coached. - What Protective gear is recommended? A Helmet is an essential and mandatory piece of kit. Gloves and knee pads are highly recommended. Other types of body armour can be used as you see fit although there is a strong emphasis in the session on riding to your ability and saying in control even when applying new techniques to more challenging terrain. - What ages is the club suitable for? The course is recommended for 10-13 year olds but we advise contacting our coach ([email protected]) if you are unsure whether this course would be to easy or difficult for your child. - Does the course include uplift? Yes but only whilst on the course. Children will receive a pedal pass once the course is over.